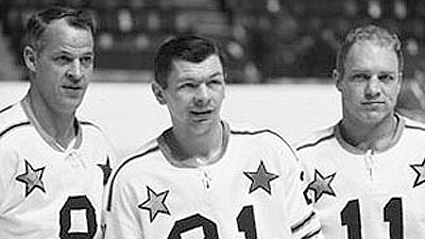 Stan Mikita's story is unlike probably any other player in the long history of the NHL. Born Stanislaus Gouth in Sokolce, Czechoslovakia on May 20, 1940, Mikita's family, fearing the political changes in the late 1940's as the Soviet Union's influence over Eastern Europe grew, sent the eight-year-old Stan, who was unfamiliar with hockey, to live with relatives in Canada just as the Iron Curtain closed and he took the family name Mikita of his aunt. "Hockey was the biggest help in making the adjustment to a new life," Mikita recalled. "I was sitting on the front porch, and eventually I got enough nerve to go down onto the sidewalk to watch. One day they were short a guy, so they motioned for me to come and join them." "I had no idea how to play hockey, so the first time a guy went around me, I chopped his legs out from under him. I didn't understand a word of English, but one of the older fellows told me, in sign language, "No, we don't play hockey like that." He showed me how to hold the stick and stickhandle. 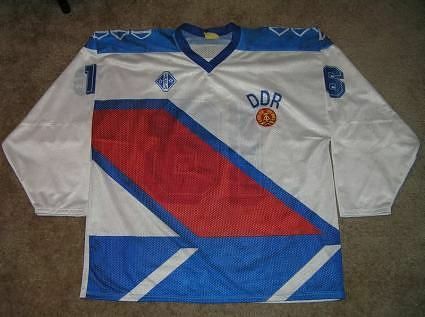 That was my introduction to hockey and where I learned the English language. Needless to say, my vocabulary was limited and included quite a few cusswords." 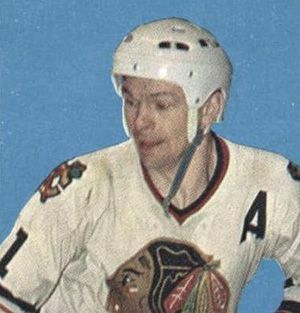 He made his NHL debut with the Black Hawks in 1958-59 season, becoming the first ever Czechoslovakian-born player in NHL history and scoring his first point and the first of many penalty minutes. He would become a regular the following season, appearing in 67 games, scoring his first NHL goal and racking up 119 penalty minutes, as he employed a rough and feisty style in part due to his smaller size. "I hadn't completely eliminated the language factor, and kids made fun of me. That made me determined to be better than those kids as a hockey player, but I was also in a lot of scraps. When I got to the NHL in 1959, I was still fighting. My first left-winger was Ted Lindsay, who, at 5 foot 8 inches and 152 pounds, was about my size. I asked Teddy, "You've played 16 years in the league. How did you ever survive?" He answered, "Hit 'em first." I followed that advice and made sure everyone knew that I was tough enough for the NHL," said Mikita. Mikita would improve his game in 1960-61, more than doubling his goal total to 19 and nearly doubling his assist total to 34 for a 27 point increase in points to 53 in 66 games along with another 100 penalty minutes. Following the regular season, he led all goal scorers with six and helped the Black Hawks win the Stanley Cup for the first time since 1938. 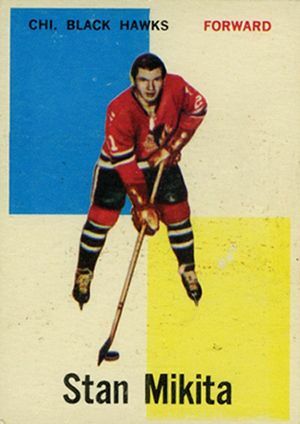 Another leap in production in 1961-62 saw him in the 20's for goals scored with 25 and 52 assists for 77 points, tied for third overall in the league with Gordie Howe, seven behind Chicago teammate Bobby Hull. While the Black Hawks would not repeat as champions, Mikita had 21 points in 12 playoff games as the Black Hawks again made it to the finals. After another 76 point season, Mikita would capture his first Art Ross Trophy in 1963-64, leading the league in scoring with a career high 89 points on 39 goals and 50 assists, along with 146 penalty minutes, third overall and just 5 behind the league leader. Mikita would again lead the league in scoring in 1964-65 with 87 points and 154 penalty minutes plus 10 more points in 14 playoff games as they again reached the finals. Then an amazing thing happened. Mikita returned home from a road trip and his wife told him that their daughter was watching the last road game on TV and asked "Mommy, why does Daddy spend so much time sitting down?" It was at that point that Mikita thought about how to explain to a three-year-old how her father took a penalty he shouldn't have and was being punished for it. He also figured out where his penalty minutes were coming from and made a conscious decision to eliminate "lazy" penalties such as holding, hooking and tripping, as well as his misconduct penalties and began to play a different style of hockey and keep quiet with the referees. 1965-66 saw a drop in penalty minutes to 58, yet he still managed 78 points, second overall. 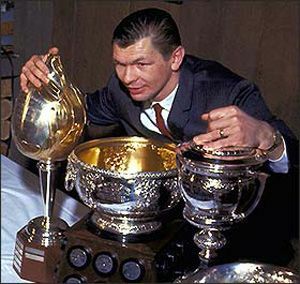 Mikita's reinvention of his style continued in 1966-67 as he scored 35 goals and 62 assists tying the single season league record of 97 points to capture his third Art Ross Trophy, yet even more surprising was his mere 12 penalty minutes, 142 less than just two seasons prior, which earned him the Lady Byng Award. Had you suggested such a thing was even possible the first six seasons of his career, you would have been laughed at. Mikita is fond of saying, "I realized that you need an awfully long stick to score from the penalty box." 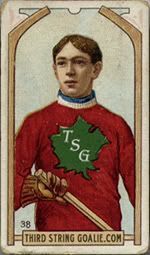 The scoring title, along with reinventing his style in play, resulted in Mikita winning the Hart Trophy as well, the first player to ever win all three trophies in a single season. He would repeat the triple trophy feat in 1967-68 with a career high 40 goals, 47 assists for 87 points and just 14 penalty minutes and be named the winner of the Lady Byng, Hart and Art Ross trophies his fourth scoring title in five years. Although his point total increased the following season to 97, tying his career best, he would finish fourth in the scoring race. The next six seasons Mikita's consistent production saw him average 78 points per season, with none lower than 65. During that time period the Black Hawks would make it to the finals in 1970-71 (18 points in 18 games) and 1972-73 (20 points in 15 games). 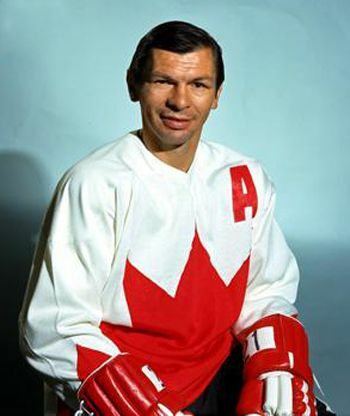 It was just prior to the 1972-73 season that Mikita would have a homecoming while part of Team Canada. 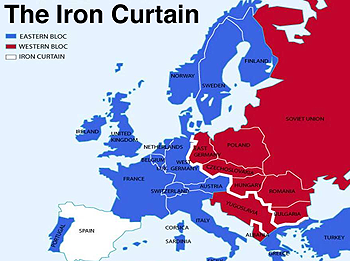 After completing the grueling Summit Series against the Soviet Union, Team Canada travelled to Prague to play the Czechoslovakian National Team. Mikita was named team captain for the contest, which was the first time he was able to play in front of his parents and siblings. "The welcome I received from the crowd was the proudest moment in my life," said Mikita. 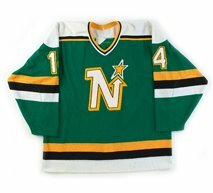 During the 1973-74 season, Mikita played in his 1,000th career game in a 5-3 win over the Minnesota North Stars on December 9, 1973. In doing so, Mikita became only the third player to appear in 1,000 games with Chicago. Additionally, on the same date in 1978, Mikita became only the second player in NHL history to register 900 career assists in a 4-2 win over the St. Louis Blues. 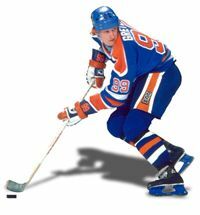 His production would drop from the 80's to the high 50's, partly due to back problems which would eventually cause him to retire in 1980 as the second highest career scoring leader in NHL history, behind only Howe, with 1,467 points from 541 goals and 926 assists in 1,394 games, the 7th most in league history at the time. His games, assists and points were all Black Hawks records and he would finish his career with 4 Art Ross Trophies, 2 Hart Trophies and 2 Lady Byng Trophies. In addition to his trophy collection, Mikita would appear in nine NHL All-Star Games - 1964, 1967-1969 and 1971 through 1975. He was inducted into the Hockey Hall of Fame in 1983 and the Slovak Hall of Fame in 2002. In addition to all his scoring exploits, Mikita was also an innovator of hockey equipment, both intentional in unintentional. Following a concussion in 1972-73, Mikita began wearing a helmet designed especially for him with it's distinctive round crown and even put it into production for others to purchase. 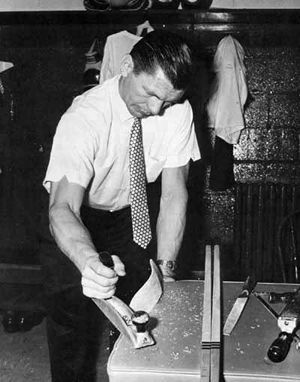 Having even more of an impact on how the game is played, Mikita is credited with the innovation of the curved stick blade in the early 1960's. "My invention of the curved stick came by accident. One day, I cracked my stick in practice, forming an angle in the blade. I was tired and angry at the thought of climbing the 21 stairs to the dressing room to get another stick. I fired a puck in frustration, and the way it left my stick and the sound it made against the boards caught my attention. Before the stick finally broke, I had taken a half a dozen shots, and each time, it was the same." "After that, I intentionally bent my stick. I broke a lot before I figured out how to make the wood pliable with heat and soaking. I experimented in practice for a month or two before I used a curved blade in a game." The curve gave the puck a fluttering path like a baseball knuckleball, moving unexpectedly. Once put into use by Mikita and teammate Bobby Hull, and combined with Hull's notoriously hard slapshot, the curved stick blade quickly became adapted league wide and by 1963 rules were put in place to limit the amount of the curvature to lessen the effect. 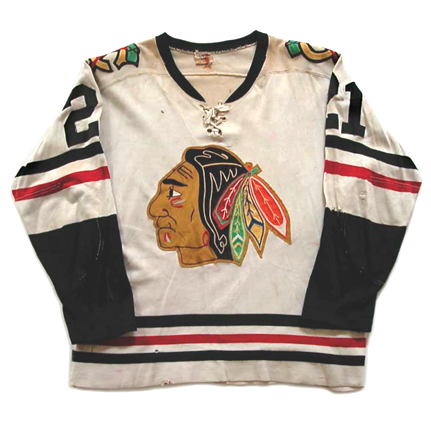 Today's featured jersey is a 1960-61 Chicago Black Hawks Stan Mikita jersey from the early days of his career. This sweater has the trappings of a 1950's style with the lace-up collar, one color numbers and no name on the back. This was the first variation where the secondary logo of the C with the crossed tomahawks were above the sleeve numbers rather than overlapping the arm stripes and below the sleeve numbers. This indian head logo sweater, so revered today and often topping Best Jersey Lists, came into being in the 1955-56 season, replacing the previous style which had a small indian head of a different design contained in a circle logo. The 1955-56 version had no sleeve numbers and a slightly different main crest design before the logo changed to today's more familiar version and sleeve numbers were added in 1957-58. Note today's jersey has two sleeve stripes and long black cuffs, which were changed to three stripes to match the waist striping for the 1963-64 season. 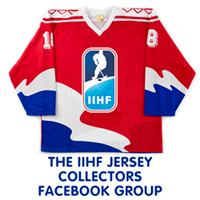 Bonus jersey: Today's bonus jersey is a 1973-74 Chicago Black Hawks Stan Mikita jersey from the season in which he played his 1,000th game. 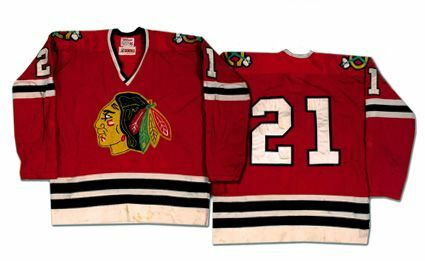 This was the first season that the Black Hawks numbers were two colors, previously being one color white numbers. 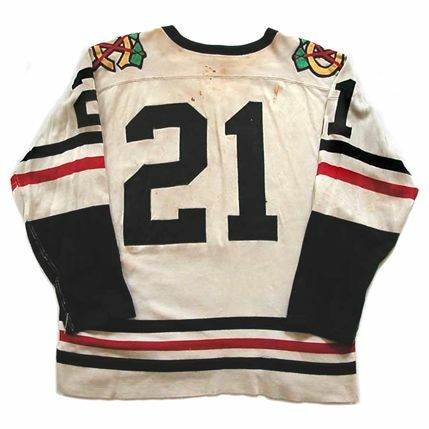 The Black Hawks would not being using names on the back of their jerseys until 1977. 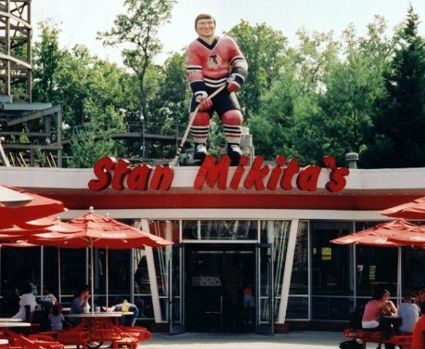 We hope you have some time on your hands today, as we mine a rich vein of video about Stan Mikita and his lengthy career. 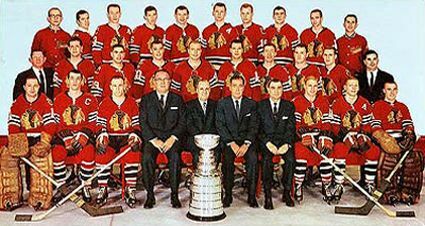 First up, highlights of the 1961 Stanley Cup Finals Game 6 where Mikita assisted on the game winning goal, the first Stanley Cup won by the Black Hawks in 38 years and the only one of Mikita's career. Here is an interview with Mikita who discusses the creation of the helmet he wore and the incident that led to the development of the curved stick and gives you a glimpse of his self-depreciating sense of humor. Next is a nice career retrospective on Mikita. In one of the nicer stories in hockey of the last few seasons, here is Mikita talking about rejoining the Chicago Blackhawks family as an ambassador for the team followed by the long overdue Bobby Hull and Stan Mikita Night. For further viewing, this two part profile of Mikita from 1995 is also recommended. Part One. Part Two. Finally, for fan's of the movie Wayne's World, no one should be without their own Stan Mikita's Donuts t-shirt. Still remember when Mikita and the Leafs Bob Pulford used to hook up....a level of nasty competiveness no longer seen in the NHL. Even after Stan cleaned up his game and became a Lady Byng winner and Pulford played his final seasons in LA, they still got their shots in. RIP Stan.